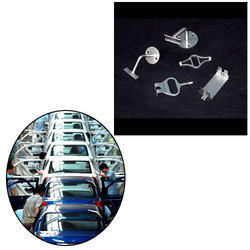 We are leading manufacturer, supplier and exporter of Sheet Metal Parts for Automotive Industry. These components are fabricated from top grade materials in compliance with set industry standards. Moreover, before offering them to customers we check them on well-defined quality parameters. Avail this product to our client in a very nominal price rates. Looking for Sheet Metal Parts for Automotive Industry ?